A regular teeth cleaning by a trusted dentist in Palm Bay FL is good for prevention of cavities and tooth decay. Even if you do daily brushing and flossing of your teeth, your teeth may still develop tartar buildup and gum disease which may in turn give you painful episodes in the future. Unnoticed dental problems can usually happen in areas in your mouth that are difficult to reach by just routine tooth brushing. In-office teeth cleaning, also known as prophylaxis, is literally the treatment of dental disease. It involves the removal of tartar and prevention of other dental problems like gum bleeding, bad breath and tooth damage. That is why going to a regular teeth cleaning with your dentist is highly recommended. Aside from professional cleanings, maintaining a good oral hygiene also helps to prevent cavities, tartar build-up, and gum disease. 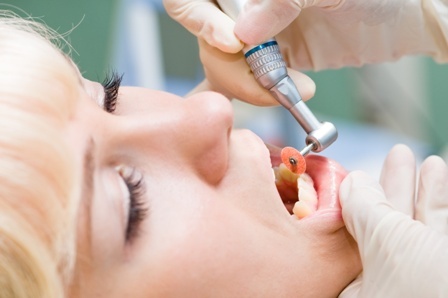 Every time you have your teeth cleaned, you are also screened for oral cancer, which is easily treated if found early. Besides potentially saving your life, regular teeth cleaning will give your self-confidence a boost because you yourself know that you are free from any dental disease. Regular teeth cleaning services by trusted Palm Bay dentist Dr. Quadri will make you more aware of the current condition of your teeth. At Dr. Quadri’s Palm Bay General Dentistry, we will evaluate your regular oral care practices and make suggestions for ways to better care for the teeth. To schedule an appointment, just dial 321-312-3040.